The types of games that excite me the most are action-driven shooter games. 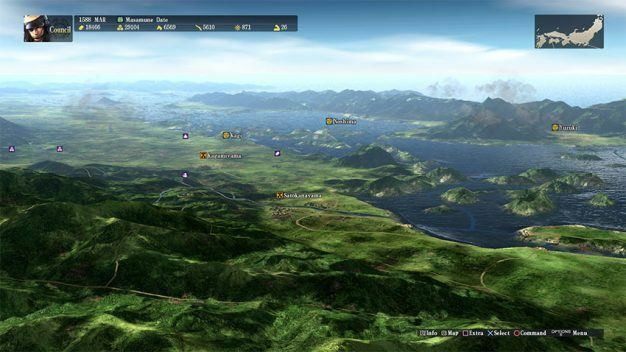 In attempts to broaden my horizons in my gaming preferences, I tried out Nobunaga’s Ambition: Sphere of Influence – Ascension. What expected was your typical turn-based historical simulation game. What I got was an interestingly complex game, filled with a bunch of low-key character discussions (in order to teach me how to play), and a gameplay experience that dove deep into strategy. Upon starting, I was cursing myself for playing this game. Much like when I sit down for the 10th time to try and learn the rules for the board game Descent, hours later I’m still stuck on the instructions and wonder why I got myself into this situation. Not being used to these types of games, it was a learning experience for me. I spent forever in the tutorial, which does walk you through without too much difficulty. 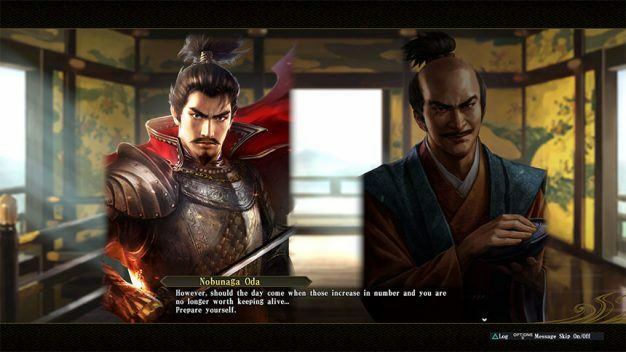 The tutorial allows you to choose between 19 historical scenarios, starting with the birth of Nobunaga Oda and ending with Ieyasu Tokugawa. The last scenario allows you to choose which of the 30 leaders to play as during this time period in a fictional scenario. The tutorial has 5 positions for you to choose from in different areas of government. These positions range from being a retainer to sieging a castle. 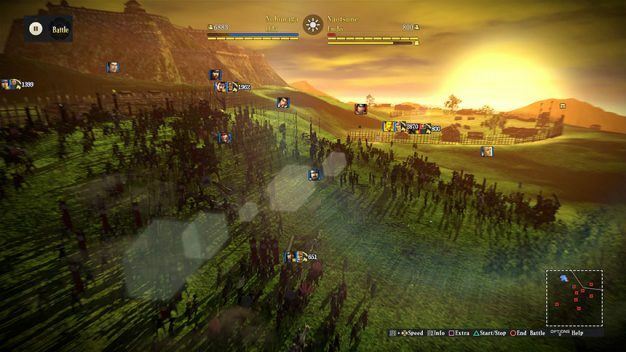 With it being a menu-driven game, it has a lot of comparisons to Romance of the Three Kingdoms. 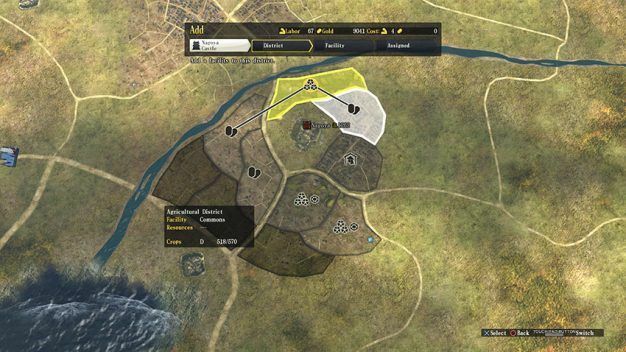 Leaning on historical accuracy (more so than RTK), you have the ability to change history in any given scenario, but the AI commanders seem less likely to deviate from actual history. Starting as a Retainer, you gain experience and honor while working your way up. Progressing to Chamberlain, then Lord, and finally Daimyo, where you have control over every facet of the kingdom. As a Daimyo, you can control all the land and castles, or choose an AI to control certain aspects. Lords can take over other castles, but additional castles become NPC’s. Starting out, you will set up your city. With the best placement of various facilities, you can increase city production and efficiency. A huge part of the game is setting up your city. You have a lot of control over city building, and it forces you to take into account the environmental aspects and placement of facilities in the most beneficial spots. For example, you want to place paddies near water to increase food production, place your markets near high traffic roads to increase the amount of people, place your troop buildings near the capitol, etc. Entering battle, you have two views to choose from. Normal view looks like basic blocky figures where you control the whole army. Officer view controls a specific unit in the army. Battles were more turn based, requiring thought versus quick reaction times. 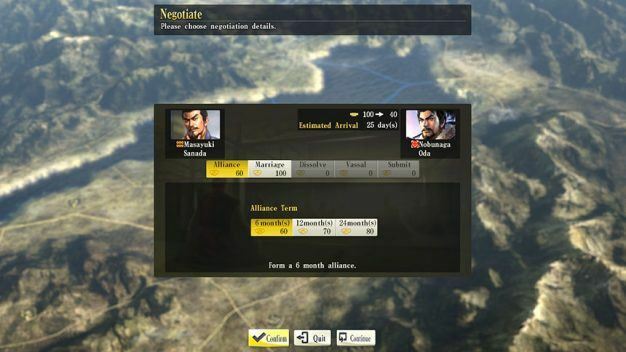 Overall, Nobunaga’s Ambition took me quite a while to learn. If you are new to this type of game as well, I’d recommend you block off several hours of uninterrupted gameplay, since there is a learning curve and extensive tutorial to bust through. If you enjoy complex games where you spend some time learning how to play, you may be interested in checking this out. While it wasn’t exactly my cup of tea, I can definitely see how enjoyable it could be to some people.